RPGaDay Day #9 asks: Beyond the game, what’s involved in an ideal session? And I’d respond preparation. The level of prep varies wildly, but it matters at all levels and on both sides. Both the GM and the players owe it to one another to come prepared to the table to deliver their best game. A player who isn’t in the zone or the committed to the game will make it a chore for everyone. Being prepared means that the player gets in touch with the GM well in advance and says they’ll have a problem attending – or perhaps that they will attend but they can’t promise their best game. A GM can work with that, adjusting the session accordingly, focussing away from the player, or maybe pulling out something different for that week. A GM needs to know the adventure, have all the table kit packed and ready, and be there on time (as should everyone). They should come to the table ready to play, have all they need organised and get moving ASAP. The real world can get in the way, but if you prepare a day or two in advance then that tough day won’t matter so much. Whoever organised the venue needs to confirm availability. Someone needs to sort out the food and drink. All the standard stuff. Preparation makes an average game night (or day) the good experience it should be. For my part, convention games have taken this a step further of late. An ideal session should have some bling. 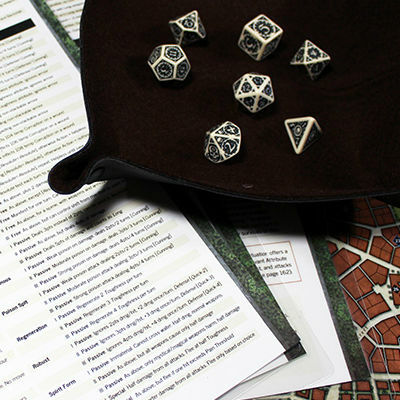 A nice world map, a few close-up tactical overviews, character sheets and cards, a dice tray and plenty of dice, a thematically appropriate dice bag – all the trimmings that will make the experience memorable for all involved. 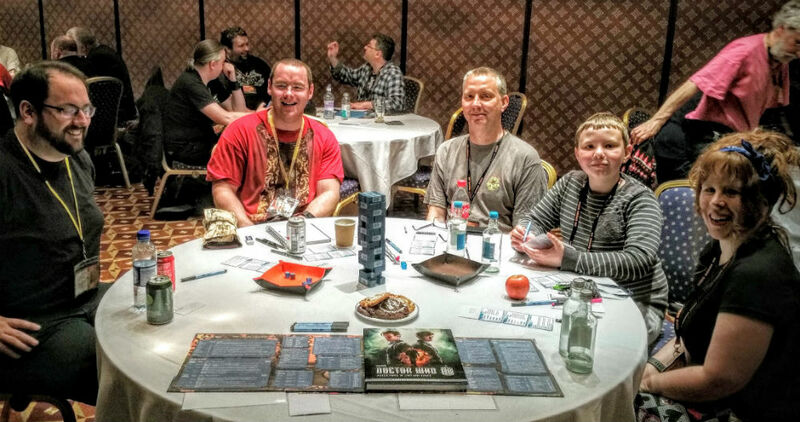 Convention games often serve as a player’s first pass on a new system, so a well prepared GM can create a truly memorable experience and help to expand the interests of the hobby. Next: Next post: What Comes Next?